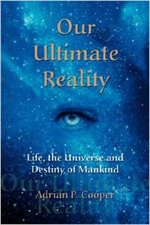 Having previously discussed the various Universal planes of life from a general perspective, and also the processes occurring upon the “death” of the physical body, we can now take a much more detailed look at the Astral worlds, also known as the Astral planes, Astral realms or Astral spheres, sometimes also known as “the beyond”, “the afterlife” or the “fourth dimension”, to which people will transition soon after leaving the physical world. Before discussing the more detailed characteristics of the Astral worlds or Astral Planes as they relate to human beings, we should first consider the more general aspects of these planes of life and reality. It should be noted that the Astral worlds are in effect the “fifth dimension”, with the length, width and height of the physical world being the first three dimensions and time being the fourth dimension. The Astral Plane as with all planes in the multi-dimensional continuum of the Universe, the Astral planes are density degrees of the Universe, The Source, God. The Astral planes are therefore fundamental to the creation of everything that exists, has ever existed and ever will exist in the physical world of matter in accordance with the principle of correspondence, “as above so below”. Everything existing in the material world must therefore first exist in the Astral world. As we will see later, this is the basis for all manifestation, and therefore of all creation in the material world. The Astral planes are therefore also a reflection of everything that has ever occurred in the material world, is occurring now and ever will occur in the future, again in accordance with the Universal Law of Correspondence, “as above, so below, as below, so above”; the “future” being relative to the temporal concepts of the measurement of time as perceived within the three dimensions of the physical world. The Astral worlds or Astral Plane or planes are also the sphere of vibrations in which light, sound, colour and rhythm, and thus all life and everything ever created, and ever will ever be created has its origin. As mentioned previously, nothing can exist on Earth without first originating in the Astral worlds. The Astral worlds are therefore an emanation of the Eternal without beginning or end, and are therefore timeless, spaceless and infinite. Most esoteric and occult traditions as well as organisations involved with the practice of “Spiritualism” usually consider the Astral worlds to be the “the fourth dimension”, “the beyond” or sometimes the “afterlife”. As discussed previously however there really is no such concept as “this life” and the “next life”, or “this world” and the “next world”, which is why “death” as people generally understand it quite simply does not exist, except as a fear in the Consciousness Mind of most humans. As we will discuss later, learning the ability visiting the Astral Plane by Astral Projection will remove the fear of death completely, providing first-hand evidence of the reality of the Astral worlds and the continuity of life beyond the confines of the temporal physical shell of body. It should be noted once again however that it is this very lack of understanding of the illusion of “death” that has contributed in no small part to the state of the world as we witness it today. Most people, being completely unaware of their own immortal, Divine nature, live each life as if it was the only chance they will ever get to “exist”, and therefore as a direct result become steeped in the material illusion of the world of the five physical senses. When mankind finally re-discovers these realities, people will waste no opportunity to do everything they need to do of their own freewill in order to progress to the glories of the “heavenly” spheres of life, glories that are far and way beyond the comprehension of most people still living on Earth, worlds which are indeed true reality, our true home as Spiritual beings as opposed to the physical illusion of Earth and indeed the entire physical Universe. The Astral Planes are home to a very wide variety of inhabitants in addition to humans. There are many beings and intelligences that have never incarnated on Earth, and whose task it is to assist in the evolution of mankind on Earth. There are also the beings of the single elements, many of which form the basis of earthly “fairy stories”. There are also the more simple beings of the elements known as “elementaries” which are much less advanced, but nevertheless do exhibit a degree of intelligence and have their role to play in the grand Universal scheme. Also living within, or visiting the Astral Planes are a very wide variety of beings of all levels and intelligences, most of which are beyond the comprehension of earthly man, including beings originating from other planets in the Universe. We will discuss some of these beings in more detail later in this section, but suffice it to say for now that in the Astral worlds there are many degrees of Energy, of vibration at which life exists, everyone and everything existing at a particular degree of vibration exhibiting similar characteristics. In the mid-Astral worlds or mid Astral Plane, at the level of vibration where most decent people currently find themselves after physical death, existence is one of peace, harmony and tranquillity, often in very stark contrast to the previous existence within the physical world of the Earth life system. These Astral worlds also seem much lighter, solid and “real” than the physical world, which by comparison seems to be a very dull, murky, oppressive place indeed. As previously mentioned, there are many levels of vibration and comparative density of the Astral worlds, all of which exhibit their own unique Energy. 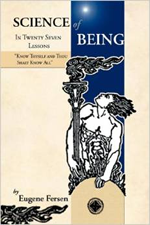 A human being, indeed any being will after physical death automatically transition to the most appropriate Astral world, most closely matching his or her own particular vibration, ego, temperament, character, and most importantly the beliefs and attitudes of the person at the time of physical “death”. If a person is open-Minded and fully understands the process erroneously known as “death”, and assuming their previous life has been a normal and decent one, they will effortlessly transition to the light, peace and harmony of the mid-Astral worlds. More Spiritually advanced people will transition to the inner Astral worlds where conditions are even more blissful and beyond the comprehension of most people still living in the physical world of matter. Let us now take a closer look at the various levels of the Astral worlds, the Astral planes in more detail. Before doing so however it is important to once again stress there are no actual definitive borders or boundaries between the various Astral planes. The entire Universe from the The Prime Creator, The First Cause, God is a continuum, consisting of vibration, Energy, from the very highest level of The Source down to the very lowest of the physical world of matter. All Astral planes form an integral, lower aspect of this vast and infinite Energy continuum. It should also once again be noted when we talk about the “inner worlds” of the Astral Plane and Mental planes, the Spirit worlds, these really are inner worlds or planes relative to the physical Universe. The multi-dimensional Universe can be likened to a sphere with the physical Universe being the outermost and thinnest layer and which can be likened to a “skin”, and epidermis, an outer “shell”, within which sphere everything else in creation exists with The Source, The First Cause, God at the very centre of creation. Indeed, quantum physicists David Bohm most appropriately referred to the physical Universe of matter, the outermost aspect of the multidimensional Universe, as “frozen light”. The physical Universe is indeed “frozen light”, the very lowest vibration and highest density manifestation of Energy of the primordial Light of God from Whom everything was created in the beginning. As human beings are Spiritually made in the “true image of God”, and therefore of the Universe, each finer, subtle body of a human being, the microcosm, are also “inner bodies”. The physical human body, as with the Universe as a whole, the Macrocosm, is the outer shell, and each successive body, the Etheric, Astral, and Mental bodies are all progressively finer, more subtle inner bodies, existing at progressively inner levels of vibration and lower density, being equivalent to the level of the Universal continuum, in other words the sphere, world, plane, dimension at which they exist. This is why meditation and similar disciplines are considered to be forms of “inner exploration”.